The Yukon is now one of the hottest jurisdictions globally for gold exploration. Goldcorp kicked things off in the spring of 2016 with its $520-million purchase of Kaminak Gold and the 5-million-ounce Coffee project. Since then Barrick, Newmont and Agnico Eagle have also entered through investments in Yukon projects. As the Yukon’s largest claims holder, Strategic Metals is poised to capitalize on the upsurge in interest. But the company wasn’t getting much value in the market for some prime projects in the highly prospective Dawson Range gold belt. Strategic packaged four of the properties — Eureka, Trident, Triple Crown and Treble — into a new company called Trifecta Gold, which began trading on the TSX Venture last Thursday with the symbol TG. The new exploration play has just 23.15 million shares outstanding and Strategic retains a 9.19 stake. The rest of the shares were distributed to Strategic shareholders, on the basis of 1 Trifecta share for every 4.5 Strategic shares. Trifecta stock is trading at 29 cents, giving the company a market capitalization of about $6.7 million. That’s almost a triple already on the deemed value of 10 cents a share at spinout. It’s a great example of shareholder value creation in a sector where the opposite is too often the rule. But I believe there is considerably more upside and have added to my position since Trifecta shares began trading. Trifecta plans to initially drill 800 to 1,000 metres at each of Eureka and Trident, and conduct earlier-stage exploration at Treble and Triple Crown. Follow-up drilling later in the season is also possible, as merited, at any of the four properties. Eureka, Treble and Triple Crown are Strategic claims, while Trident includes ground Strategic staked as well as two optioned claims packages. Eureka is an orogenic gold project located in the south of the storied Klondike Goldfields, along the proposed road route between Goldcorp’s Coffee and Dawson City. 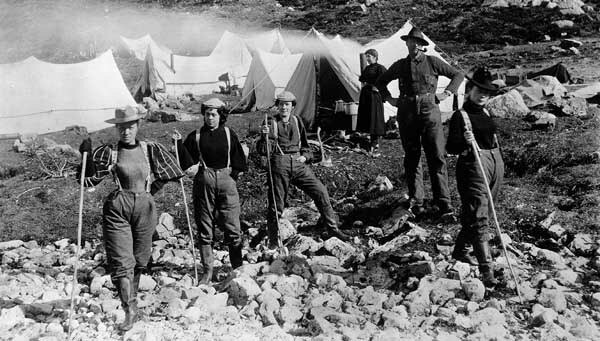 The lack of a significant bedrock gold source is one of the Klondike’s great mysteries. More than 20 million ounces of placer gold have been pulled from Klondike waterways since the great Gold Rush. But finding the bedrock source of all that gold has been an illusive quest. Eureka straddles the headwaters of Eureka and Black Hills creeks, which together have produced at least 200,000 ounces of placer gold since 1978. The characteristics of the gold suggest a nearby source. The property has a 6-km by 2.5-km zone of gold-in-soil geochemical anomalies that has not seen much trenching or drilling. But it’s the Trident project that may hold the most promise. 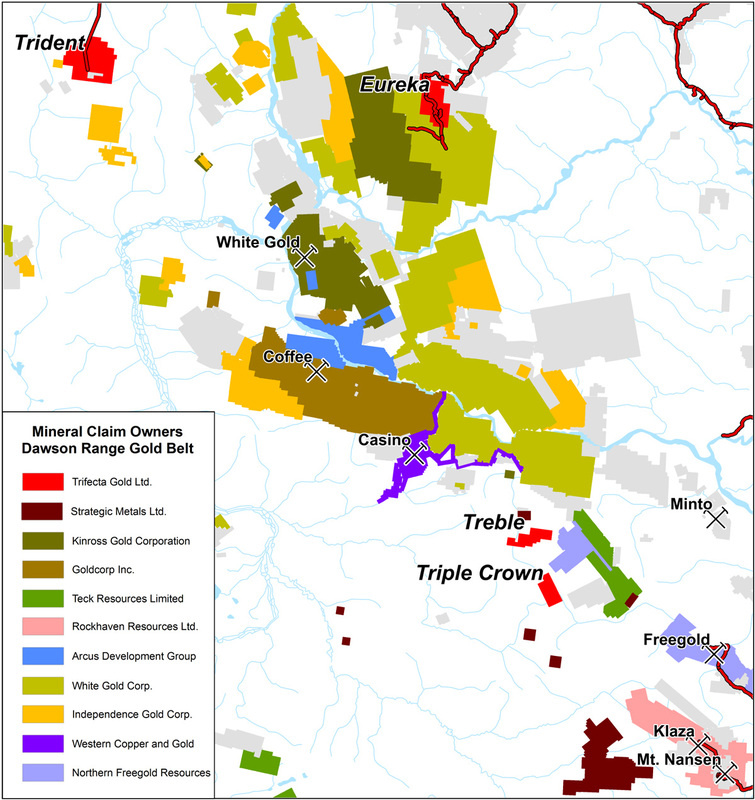 Trident is located near the Yukon-Alaska border about 75 kilometres northwest of Goldcorp’s Coffee. The project includes claims staked by Strategic, as well as claim blocks optioned from a prospector (CH) and Metals Creek Resources (Squid). It’s road-accessible and has a gravel airstrip but has also seen limited trenching and drilling. Drilling in 2013 by another operator during the bear market hints at the possibilities. Intercepts included 21 metres of 1.55 g/t gold and 114 g/t silver and 12 metres of 1.7 g/t Au and 81.78 g/t Ag. An overlying trench turned up 22 metres of 1.96 g/t Au and 160.6 g/t Ag. Trifecta’s CEO is Dylan Wallinger (right), a former Archer Cathro project manager who resigned as a partner to take the helm of the new White Gold-focused company. He said the idea at Trident is to aggressively explore the optioned ground and “prove it or kill it.” Trifecta plans a $3-million financing soon to top up the $500,000 currently in the treasury. Wallinger got a taste of Yukon gold discovery while working at ATAC’s Rau property in the summer of 2010 as part of an Archer Cathro field crew. He split the core that turned out to be the Osiris discovery hole, which returned 9.26 g/t gold over 31.13 metres. That discovery and subsequent high-grade gold hits that helped identify several deposits propelled ATAC shares to the $9 level in 2011 — and Strategic shares above $4. 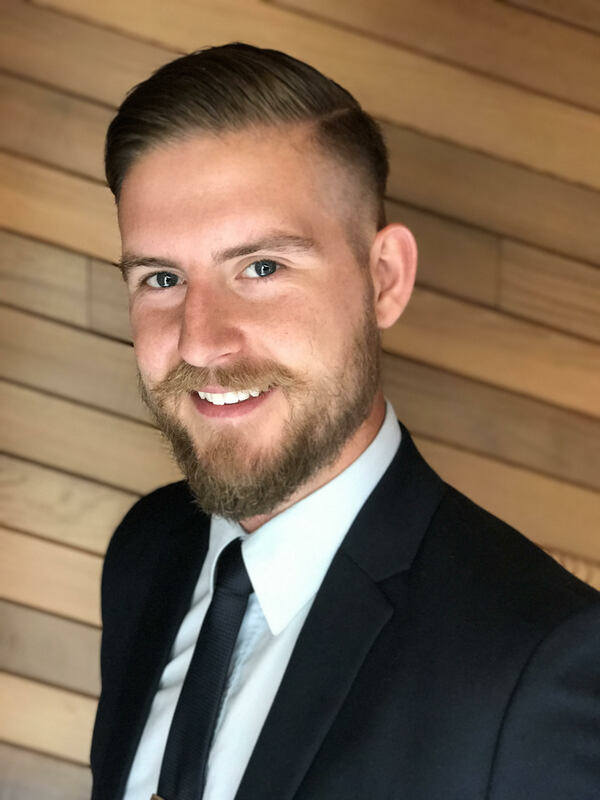 In addition to being young and hungry — he’s 30 — Wallinger has a family history steeped in the mining industry, on both sides of the family. His path to Trifecta leads through storied Canadian mining districts such as Timmins, Ontario, and Faro, Yukon and companies including Cominco. Wallinger’s great great grandfather, Noel Wallinger, was British Columbia’s gold commissioner from 1914 to 1922 and a former Conservative Member of B.C.’s Legislative Assembly. 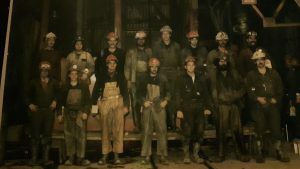 Both of Dylan’s grandfathers and several other relatives worked at the Yukon’s Faro mine, once the world’s largest open-pit zinc-lead operation. Dylan Wallinger’s father, Neil Arnold-Wallinger, is third from left at top. Myra Falls mine, B.C. Wallinger’s parents met in high school at Faro and both subsequently worked at the mine, as well. More recently, his father worked at Nyrstar’s Myra Falls polymetallic mine on Vancouver Island. As for Trifecta, the new company’s other two properties — Triple Crown and Treble — are located between Coffee and Rockhaven’s Klaza deposit. They are earlier-stage, but prospecting has turned up some promising sniffs. 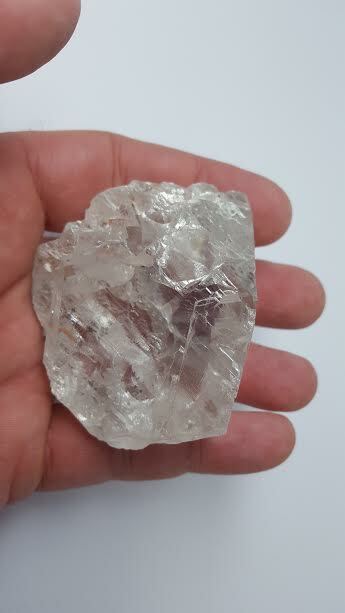 One rock sample from Triple Crown assayed 6,680 g/t silver. Trenching returned 570 g/t silver, 2.76% lead, 0.08 g/t gold over 6.4 metres and 106 g/t silver, 0.84% lead and 0.03 g/t gold over 9.6 metres. It is said that the best place to find a new mine is in the shadow of an existing head frame. That “closeology” thesis holds equally true in exploration. And Strategic has exposure — through prime land positions or equity stakes — to all of Yukon’s most exciting discoveries. 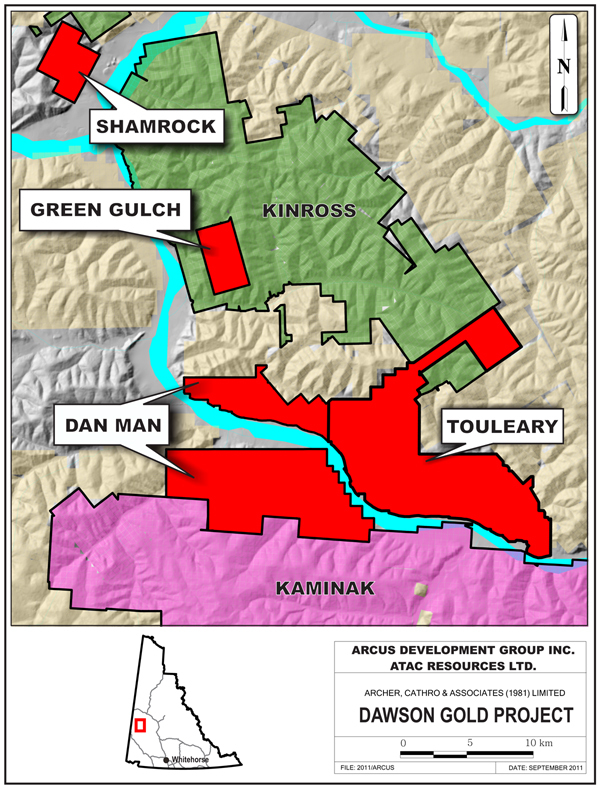 That includes a significant equity stake in Arcus Development Group (ADG-V), exploring Dan Man on Coffee’s doorstep, and extensive land holdings bordering ATAC’s Rackla property, where Barrick Gold recently invested. Yet Strategic’s share price has barely moved, creating a significant discrepancy between the share price and the energy that has been building in the Yukon. One of the knocks on project generators is the “holding company discount” and a structure that dilutes the tremendous shareholder value that can be created from discovery. It’s one of the reasons Strategic decided to spin out Trifecta Gold, crystallizing the value in four promising projects in one of the world’s hottest mineral belts. Strategic CEO Doug Eaton has seen it before. The Archer Cathro principal has decades of experience on the ground and personal involvement in many of the Yukon’s best mineral discoveries. Archer Cathro is a storied Yukon geological consultancy with a proprietary database that Strategic has full access to (Strategic and Archer Cathro share offices). “There is so much unlocked value in Strategic, we could do this 8 or 10 times with other properties,” Eaton comments. Trifecta is the third company that Strategic Metals has spun out to shareholders. The second was Silver Range Resources (SNG-V), which has a market cap of about $16 million and is focused on high-grade gold prospects in Nunavut, Northwest Territories and Nevada. The first spinout was an ill-fated zinc spinout that launched just before the 2008 financial crisis hit. The timing for Trifecta Gold’s emergence, however, could not be better. 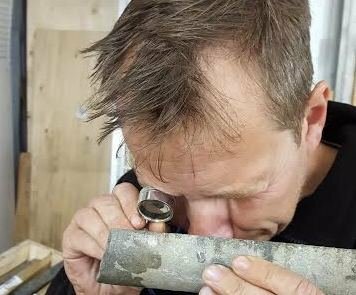 Yukon-focused exploration companies are deploying hundreds of millions of dollars in the hunt for bedrock gold, their treasuries fortified by some of the world’s biggest gold miners. Strategic itself has exposure to tens of thousands of metres of drilling this season through its equity stakes in ATAC (7.3%, worth about $6.2M) and Rockhaven (42.5%, worth $9.4M) alone. The value of those two stakes alone plus Strategic’s $16-million cash position is $31.6 million, compared to a market cap of about $49 million. The Trifecta spinoff is a classic “making the pie bigger” move. The timing could be exquisite. Owning Strategic Metals, the Yukon’s largest claims owner and most experienced operator, gives investors broad-based exposure to one of the hottest gold exploration jurisdictions, globally. The Trifecta listing positions speculators to experience the type of explosive share price appreciation that can accompany discovery. Subscribe to Resource Opportunities this month and use COUPON CODE JUNE to receive $100 off regular subscription prices of $299 for 1 year and $449 for 2 years. That’s considerably less than the profit on one successful trade, making Resource Opportunities one of the best value propositions in the newsletter world. Our focus is actionable investment ideas with high speculative upside potential. Recent examples: $ERD.T at 37.5c & $SBB.T at 39c. Join us today and profit! Disclosure: James Kwantes owns shares of Trifecta Gold, Strategic Metals, ATAC Resources, Arcus Development Group and Rockhaven Resources. Strategic Metals is one of three Resource Opportunities sponsor companies. Readers should always conduct their own research, do thorough due diligence and/or obtain professional advice. This article is solely for information purposes. Nothing contained herein constitutes a representation by the publisher, nor a solicitation for the purchase or sale of securities. The information contained herein is based on sources which the publisher believes to be reliable, but is not guaranteed to be accurate, and does not purport to be a complete statement or summary of the available data. Any opinions expressed are subject to change without notice. The author and their associates are not responsible for errors or omissions. A version of this site visit report was sent to paid Resource Opportunities subscribers on May 11. Their unique combination of portability and value make diamonds a favoured target of thieves, both on the big screen and in real life. In The Pink Panther, a distinctive pink diamond was fodder for several movies worth of escapades between bumbling Inspector Clouseau and the elusive jewel thief. Away from the screen, one of the biggest thefts was the Antwerp diamond heist of 2003. Thieves planned it for years, including posing as diamond merchants and renting office space in the Antwerp Diamond Center. They then made off with more than US$100 million in diamonds and jewelry from a heavily fortified safe. The bad guys were arrested; the gems were never found. However, the greatest diamond heist of all time didn’t involve masked men, gunpoint or intricate plans concocted over several years. In fact, it didn’t involve coercion at all. It went down rather quietly in the fall of 2009 when upstart Lucara Diamond Corp. bought a controlling interest in AK06, a De Beers diamond project in Botswana, for US$49 million. De Beers’ discovery of the nearby AK1 kimberlite — now Orapa, the world’s largest diamond mine — had launched a diamond district in Botswana’s Kalahari desert. But the diamond giant was now shedding assets and William Lamb, then Lucara’s only employee and now its CEO, was looking. Subscribe to Resource Opportunities this month and use coupon code JUNE to receive $100 off regular subscription prices of $299 for 1 year and $449 for 2 years. That’s considerably less than the profit on one successful trade, making Resource Opportunities one of the best value propositions in the newsletter world. Our focus is actionable investment ideas with high speculative upside potential and compelling narratives on the sector’s strongest companies. Recent examples: $ERD.T at 37.5c & $SBB.T at 39c. Join us today and profit! Lamb had been hired the previous year by Lukas Lundin, the Swedish tycoon whose international mining empire is based in Vancouver. The idea of a diamond company called Lucara was hatched earlier during a Lundin lunch with Catherine McLeod-Seltzer and Eira Thomas (who contributed the “ca” and “ra,” respectively, for the company name). Lamb spent more than a year scouring the globe for prospective diamond projects and plotted them on a spreadsheet, he told me during an interview in Botswana. AK06 made his short list. He ironed out the purchase price for a 70% stake in AK06 during a 5-minute phone conversation with an executive at De Beers, where Lamb had worked for several years. Lucara later bought out JV partner African Diamonds — who couldn’t afford to fund their share of mine construction costs — to take control of 100% of the project. AK06, of course, became the Karowe mine, the source of many of the world’s largest and most valuable rough diamonds. Lucara has now sold 145 diamonds for more than US$1 million each, generating US$528 million. Lucara sells its largest stones through Exceptional Stone Tenders, where buyers submit sealed bids over a number of days. On May 11 Lucara announced sales proceeds of US$54.8 million from its latest tender, the largest yet. The sale featured 15 diamonds for a total of 1,765 carats, including a 374-carat Type IIA diamond, below, that fetched US$17.54 million. The 374-carat stone broke off the 1,109-carat Lesedi La Rona, the world’s most famous diamond. It was purchased by Graff Diamonds, whose owner Laurence Graff is arguably the most powerful player in the global diamond trade. I suspect he desires the larger companion piece. Graff Diamonds paid US$17.54 million for this 374-carat stone. The “Lesedi La Rona” — “Our Light” in the local Tswana tongue — was unearthed in November 2015. It is the largest gem-quality diamond recovered in a century and the second largest ever. The stone was named last year in a contest open only to Botswana residents. Last year Lucara put the Lesedi up for live auction at Sotheby’s in London. But the diamond failed to sell because bids didn’t hit the reserve price. More on that later. Lucara sold the 813-carat Constellation diamond, recovered at about the same time, for US$63 million — a record for a rough diamond — as well as a share of the profit generated from the cut stone. Notably, the price tag for the Constellation exceeded what Lucara had paid just seven years earlier for a controlling interest in the mine that produced it. 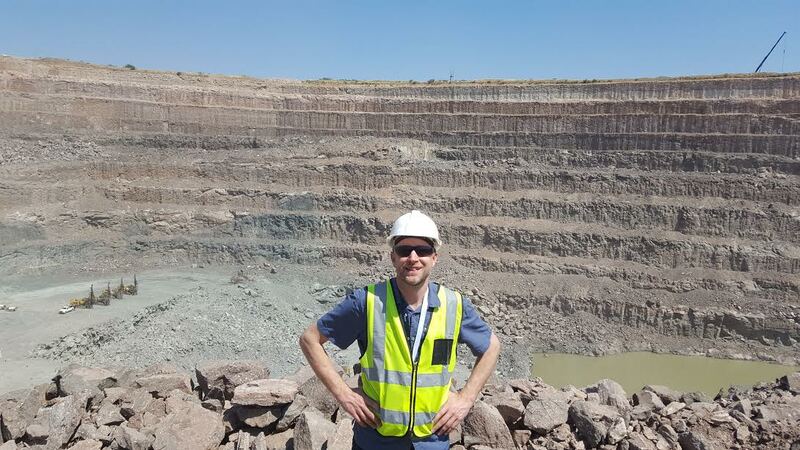 I travelled to Botswana recently to visit Lucara’s operations and learn more about both where the company has been and where it’s going. Also on the tour was the Africa correspondent for a Swedish daily newspaper and an analyst for Nordea, a large Swedish bank. There are plenty of reasons to be bullish Lucara and I have purchased more shares in the company since I returned. I flew into Gaborone, Botswana’s capital, through Frankfurt and Johannesburg. “Gabs,” as the city is known colloquially, has become a global diamond centre as Botswana has risen among the ranks of producers. The African nation is now the second largest producing nation by value, unearthing 22% of global supply, as outlined by New York-based diamond analyst Paul Zimnisky (Russia is first, Canada third). Most of the Botswana stones come from the Jwaneng and Orapa mines, located in the same neighbourhood as Karowe. In 2013, De Beers moved its sorting and sales operations to Gaborone, an exclamation mark on Botswana’s emergence as a diamond power. Botswana owns the other 15% of De Beers not owned by Anglo American, as well as 50% of Debswana, a De Beers JV. Diamonds generate up to 50% of government revenues, funding universal health care and education (including post-secondary). Botswana is one of Africa’s fastest-growing economies and has a higher GDP per capita than South Africa. One of the first stops for our small group was the gated Diamond Technology Park (DTP) on the outskirts of Gaborone. The compound is the headquarters for Lucara and other Botswana diamond miners. Down the street is the De Beers sorting centre. A helipad atop that building attests to former De Beers boss Nicky Oppenheimer’s fondness for helicopter transportation. The DTP is ground zero for the billionaires, royalty and other high-net-worth investors who fly in from around the world to view Lucara’s finest merchandise: large rough stones that sell for millions — sometimes tens of millions — of dollars. The company picks up clients at the airport and whisks them in limousines to Lucara showrooms. 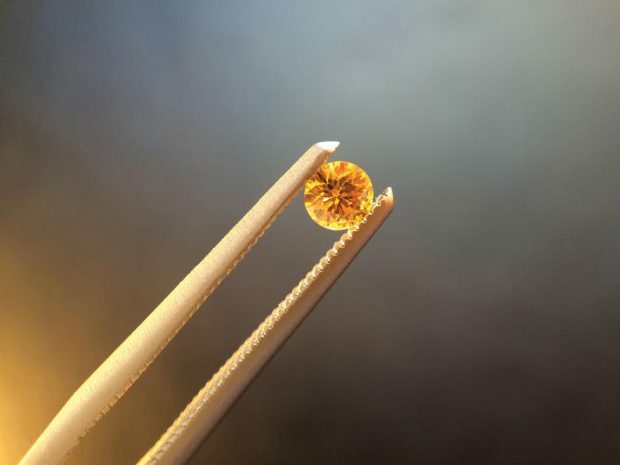 Some spend hours with a single stone — investigating the clarity, evaluating the colour, envisioning the cut possibilities. The 1,109-carat Lesedi La Rona was not part of the latest Exceptional Stone Tender. But presumably some of the clients who flew in to view the diamonds on offer also viewed the Lesedi. Security measures were extensive. My fingers were printed and retinas scanned. Later, on the way in to Lucara showrooms, I was searched in a secure room. On the way out, I was asked to remove a candy from my mouth to show that it wasn’t something much more valuable. Steve Lincoln, Lucara’s sales manager, is a former De Beers man — like many in the sector. He led us into a room that shimmered with diamonds grouped by weight, colour and quality. Here, a group of 5- to 10-carat stones. There, a selection of the diamonds being sold in the Exceptional Stone Tender. Most were white and clear. 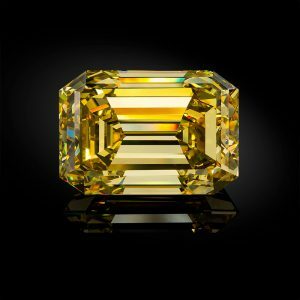 Among them was the beautiful 374-carat Type IIA stone that went for almost US$18 million. Our final stop was at the icy elephant in the room. Sitting by itself on a white table under a row of lamps was the Lesedi. I picked up the rock, muscles adjusting to its heft as I cradled it in my fingers. Looking into the diamond through a loupe, what struck me was the stone’s architecture. Beyond the clear, smooth plane where the 374-carat diamond cleaved off were ridges, soft pools of light, jagged edges, rippled valleys. Close up, it’s easy to get lost in the stone’s landscape. The diamond occupies its own world. And in the diamond world, news of its arrival landed like a lightning bolt. Once cut and polished, the Lesedi could be among the world’s largest clear diamonds. The largest, the 530-carat Great Star of Africa (or Cullinan), was cut from the 3,106-carat Cullinan diamond — the only larger diamond ever found. The Great Star is set into the British Crown Jewels. But not only did the Lesedi break, it broke the mould. The diamond’s size makes it difficult to determine how many stones could be cut from it, or how they might look. The rock doesn’t fit into the largest scanners made for diamonds. The diamond’s incredible narrative was derailed by the unsuccessful auction. Following a global road show and marketing campaign, the Lesedi La Rona failed to hit the (undisclosed) reserve price at a glitzy live auction in London on the evening of June 29, 2016. The top bid was US$61 million, less than the Constellation had fetched and far below projections of a potential US$100-million sale price. The Constellation’s per-carat price, US$77,500, implied an US$86-million value for the Lesedi — plus a large premium given the stone’s provenance. The fate of Lesedi La Rona remains the million-dollar question — perhaps, the $100-million question. Interest remains high — Lamb fields calls about the diamond most days (two on the day of the interview). Cash offers are rejected out of hand. A few members of the cast of characters drawn out by the giant diamond have been particularly interesting, Lamb said with a smile. He didn’t elaborate. As author Matthew Hart documented in an Aug. 5, 2016 feature in Vanity Fair, it wasn’t for lack of interest that the auction fizzled. Moments after the hammer fell, Laurence Graff’s son rushed up to the CEO to express interest in the stone. In the diamond business, diamantaires are the middlemen. They privately purchase rough stones from producers, cut them and take their cut of the value created. It’s a traditional, secretive system that goes back centuries. Lucara was the upstart that shook the foundations of that established order by auctioning the world’s most desirable stones. It goes some way to explaining why the second largest gem-quality diamond ever recovered, a stone with historical significance, failed to sell at the live auction. Lamb reasons that Lucara is actually helping other producers — especially the handful of other producers that recover very large diamonds — by controlling the supply of such stones through orderly tenders. The company could easily swamp the market for large diamonds, he points out. As for the auction, the company did not get to the pinnacle of the large-diamond world by shying away from calculated risks, the CEO noted. The live Sotheby’s auction, he acknowledges, was an experiment. The exercise, driven by the significance of Lucara’s find as Lamb tells it, didn’t ultimately pay off — at least monetarily. As “failures” go, the Lesedi La Rona marketing blitz and auction was rather successful. The company estimates about 1.8 billion people — a quarter of the world’s population — have either seen, read about or heard about the diamond. But only about 100 people have held the stone, and the list of potential buyers is shorter yet. The diamond’s fate has weighed on company shares, which have drifted down from the $4 level pre-sale to below $3.00. Tall and trim, Lamb is a former elite athlete who has represented South Africa at the world track and field championships (he once placed fifth in the duathlon). Running remains a passion — a recent excursion with a friend and his son saw Lamb start at one edge of the Grand Canyon, run down and through it, and up the other side (it took him 4.5 hours). 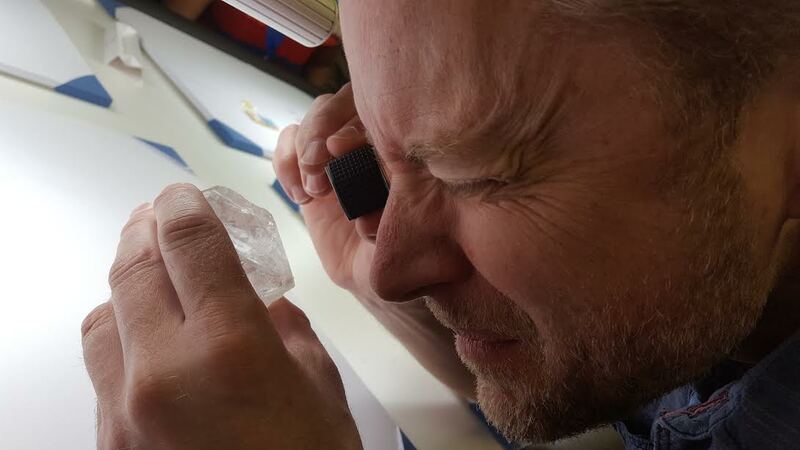 I got the sense that blazing a trail through the traditional diamond industry — not to mention proving naysayers and skeptics wrong — brings out his competitive juices. That said, other extraordinarily large diamonds the company finds will likely not be sold at live auction. “We learn from our mistakes. We wouldn’t go back to auction.” Lucara is investigating various options for selling the Lesedi, Lamb said, including partnership and/or retaining a financial interest in the polished product. A humorous moment in the showroom, which had an empty diamond scale sitting on the table when we walked in. When the Lesedi La Rona was placed on the platform, the reading that came up was 1,106 carats — prompting a few laughs as well as nervous glances between company officials. As it turned out, the scale had not been calibrated after it had been moved into the room. The stone does, in fact, weigh 1,109 carats. After viewing some of the most valuable stones pulled out of Karowe, we flew to the mine for a tour of the operation. It started in the open pit, which measures 820 metres across at its widest point and is about 80 or 90 metres deep. Weekly dynamite blasts loosen up the ore, which is transported out by 100-tonne dump trucks. The strip ratio is in the range of 5 or 6:1 for the next couple of years, then drops to below 2 due to the shape of the kimberlite. Lucara will then shift focus from accessing the treasure to mining it. 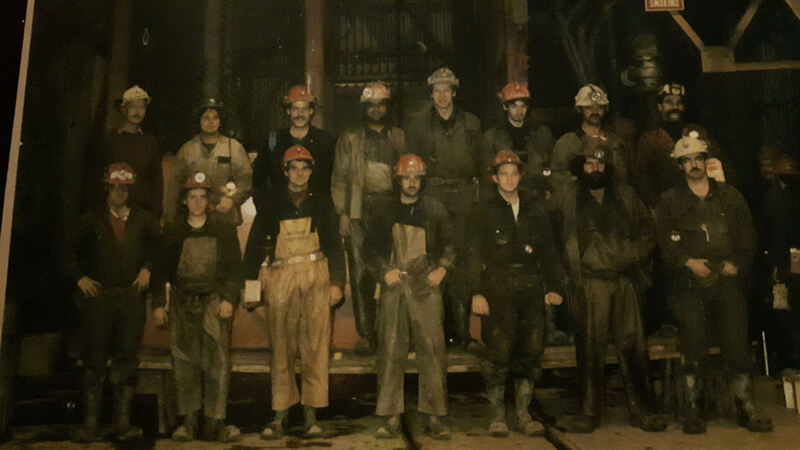 The bottom of the pit will get about three times as deep by the end of the current mine life, in 2026. 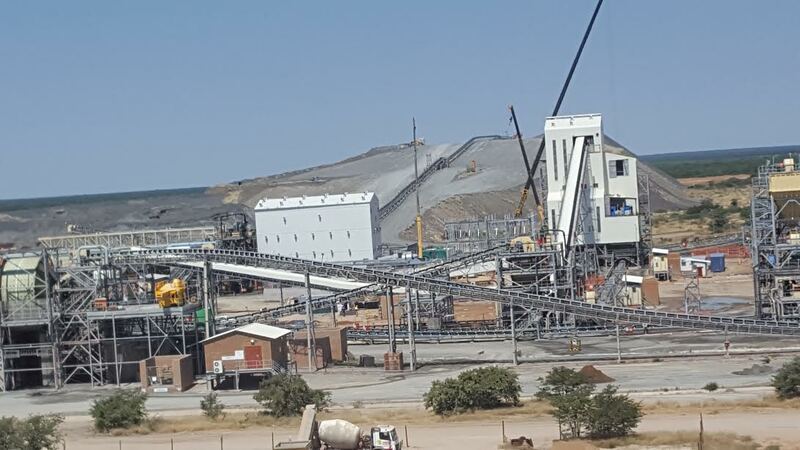 Lucara recently brought in a new mining contractor at Karowe, a move prompted by consistent over-billing by the previous contractor for volume of ore processed, Lamb said. Open-pit mining was shut down for two months during the transition but operations were not affected — Lucara mined from stockpiles. It has worked out alright, Lamb says — the new contractor is cheaper and has more capacity. Your author in the open pit. The Lesedi was mined behind and below where I’m standing. About 40 million cubic metres of rock have been processed since Karowe opened. The diamonds recovered could fit in two suitcases. They have generated a billion dollars in revenue, and counting. Lucara is working on economic studies — due out later this year — on an underground expansion that would extend the Karowe mine life well beyond 2026. And it’s the expansion that could really drive profitability if Lucara can continue to pull large stones out of the south lobe. That’s the largest kimberlite, from which the Lesedi and Constellation were unearthed. Lucara completed a deep drilling program at Karowe in February that included a 758-metre drill hole. An updated resource estimate is expected in Q4. Lucara is also building a Mega Diamond Recovery unit (MDR) at Karowe. A particular challenge of diamond mining, especially for Lucara, is avoiding breakage during a process that consists of crushing and grinding rock into progressively smaller pieces. The MDR, at a cost of between $15 million and $18 million, will divert the largest stones at the front end of the mining process. The unit will be able to recover stones as large as 45-50mm. Lamb refers to the recovery of large stones as “mining money” and the MDR will help Lucara recover the largest, most valuable stones intact. The company is also installing four new XRT (X-ray transmission) diamond recovery units. Viewed from the primary crusher — the first point of entry for the ore and one of the highest points of the mine — the operation resembles a kind of amusement park. The ball mill is the Ferris wheel, the conveyors the roller-coasters that deposit sometimes precious cargo at the next stop. In this Darwinian adventure park, only the most valuable cargo survives a series of crushing and shaking exercises. Karowe has a been a phenomenal success, by many metrics. The mine was built in just 18 months and had a 9-month payback. In December 2016, just four years and eight months after the very first diamonds were produced, Lucara passed $1 billion in sales. The company implemented a dividend in 2014 and has now paid out more dividend dollars than it has raised in equity. The dividend policy also broke new ground as the first company in the Lundin empire to pay one. It took six months to convince Lundin, Lucara’s chairman, to go with a dividend, Lamb recalls with a smile. Karowe mine staff also reaped the benefits of the recovery of the 813-carat and 1,109-carat stones. Each employee received a 20-30% large stone bonus. Jobs in the Botswana diamond industry — which is large enough to ensure salaries remain competitive — are typically coveted positions. At a $2.95 share price, Lucara’s market capitalization is about $1.13 billion. Last year the company paid out dividends totalling 51 cents a share — 6 cents in quarterly payments plus a special dividend of 45 cents in the months following the failed Lesedi sale. This year Lucara hiked the full-year dividend to 10 cents — a 60% increase — for a current yield of about 3.4%. The list of mining companies paying that generous a dividend is very short. Lamb is open to adding assets through acquisition, but only if they are accretive — a tall order given Karowe’s profitability. Late last year Lucara purchased a 9.9% stake in Tsodilo Resources (TSD-V), an illiquid diamond exploreco that is currently drilling its BK16 diamondiferous kimberlite. BK16 is six hectares at surface, located in the same Orapa kimberlite field as Karowe, and hosts a population of rare Type IIa diamonds. The project is another De Beers discard and the company is run by Mike de Wit, De Beers’ former VP of exploration for Africa. The company’s value can be expressed in a single sentence: Karowe produces less than .5% of global diamonds by weight, but more than 50% of the world’s “specials” (10.8 carats plus). And those large stones command exponentially higher prices. A 100-carat diamond is much more valuable than ten 10-carat diamonds. A 1,109-carat diamond? Its price has yet to be determined. But the stone remains in Lucara’s inventory, as under the radar as a world-famous diamond can be. I will be surprised if it doesn’t sell this year. Karowe was no overnight success, Lamb recalled during an interview after the mine tour, in nearby Letlhakane. Lucara’s first sale was underwhelming, with average carat prices coming in at US$215 (2016 revenue was US$824 per carat). It was a “disappointing” outcome, below projections, and the stock plunged from the $1.25 level to below 50 cents, Lamb recalled. Then in April 2013, Lucara recovered a 239-carat stone. It turned out to be a sign of things to come, and the company took immediate steps to modify the plant, decreasing the risks of breaking large stones. Ever since, a steady stream of beautiful, unusually large stones — and the high prices fetched for them — have made Karowe one of the world’s most profitable diamond mines on a per-carat basis. Debswana’s nearby Orapa mine, the world’s largest diamond operation, mines more carats in two weeks than Lucara does at Karowe in a year. But size matters — Lucara has now sold 145 diamonds for more than $1 million each, generating revenues of more than US$528 million. 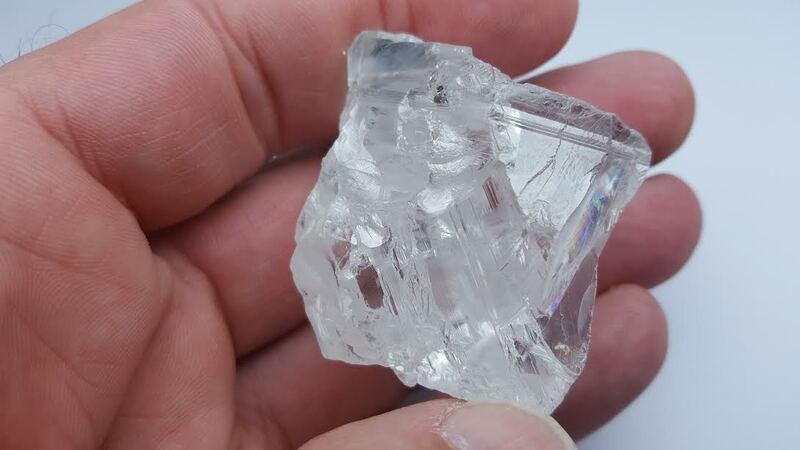 The company’s greatest success came in November 2015, when Lucara unearthed the three largest diamonds it has ever recovered in the space of a week. In addition to Lesedi La Rona and Constellation — the sixth largest gem-quality diamond ever recovered — there was the 374-carat stone that sold in the latest tender. Lucara’s large-stone focus also insulates the company from two of the primary threats facing the global diamond industry: synthetic stones and changing relationship patterns among millenials. With its iconic “Diamonds are forever” narrative, De Beers inextricably linked love, commitment and diamonds for generations of couples. Prospective husbands are not really the target audience for the large stones that generate most of Lucara’s revenues, anyway. The buyers for these diamonds travel by private jet and sometimes rule countries. Similarly, synthetic stones are much more of a threat to companies producing smaller stones. And synthetics take an enormous amount of heat and electricity to create, tarnishing their green credibility. But when talk turns to DiCaprio, who is also backing a California-based synthetic diamond producer, frustration crosses Lamb’s face and his voice develops a bit of an exasperated edge. He links the 50% of government revenues that come from the diamond industry with Botswana’s emergence as a stable nation with a high GDP and low corruption. Botswana provides universal health care and free education, including post-secondary. Taxes are based on profitability and Lucara paid US$103 million in taxes in 2016 (full-year revenue was US$295.5 million). Oscar-winning actress Charlize Theron, right, also provided a sort of counterpoint to the blood diamond narrative at the 2017 Academy Awards in February. The actress created a buzz with a pair of stunning diamond earrings cut from the Queen of Kalahari, a clear 342-carat diamond recovered at Karowe in 2015. The diamond sold for US$20.55 million and was cut by jeweller Chopard into a diamond collection dubbed the Gardens of Kalahari. Theron, who is South African, wore a 26-carat heart-shaped stone and a 25-carat pear-shaped diamond. For me, a very brief foray into South Africa during a transfer — and in-flight conversations with a few South Africans — highlighted the geopolitical contrasts between the neighbouring countries. At the Johannesburg airport, the TV headlines were “No-confidence vote against Zuma considered.” In conversation, a few of the prevailing themes were presidential corruption on a massive scale, ANC infighting, racial tensions and the country’s downward slide. In Botswana, by contrast, the current (elected) president — Ian Khama — is the son of a black father and a white mother. His father is Botswana’s founding president, Seretse Khama, a tribal leader who studied in England and fell in love with and married a white English woman. The union rocked South Africa — where apartheid was just getting started — as well as the rest of southern Africa. Fifty-some years later, the young country ranks high on living standards and low on corruption compared to African peers. Especially given what’s happening to the south, Botswana is a veritable oasis of stability. There was, however, a bit of excitement during the Botswana visit. I was sitting across from Lucara CEO Lamb during dinner at a Brazilian restaurant in Gaborone when the table began to shake. “This is an earthquake,” he declared. The epicenter of the 6.5-magnitude quake was not very far away and the shaking lasted longer than any quake I’ve experienced in the seismically active Vancouver area. The quake did not cause any damage or deaths — only jokes that it was triggered by the falling rand. In the diamond world, Lucara is the upstart that has quickly climbed to the top thanks to its high-quality, exceptionally large stones. Just four years into the mine life, Karowe is a dividend-paying profit machine. The company actually lost money in Q1 because revenues came in below projections, but that had more to do with timing of tenders than company performance. Globally, there is a looming supply shortfall for smaller diamonds. Few new mines are coming online; two Canadian mines, Stornoway’s Renard and De Beers/ Mountain Province’s Gahcho Kue, are among the exceptions. Demand for Lucara’s large stones remains strong. And as countries go, Botswana is a young one at just 50. The Kalahari Desert covers most of the nation, and it was greener than usual this year because of above-average rainfall. Botswana’s Tswana language reflects the country’s desert reality — the currency is called the “pula.” The word has many meanings: it’s also the Tswana term for rain, as well as the declaration when you raise a toast. 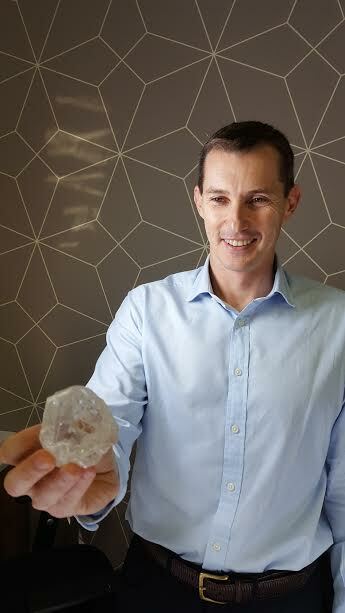 It’s an apt metaphor for Lucara, because the consistent haul of large, high-quality diamonds from Karowe ensures the company will likely continue to “rain money.” The likelihood of underground expansion would extend the mine life beyond 2026 as Lucara focuses on the south lobe — the kimberlite pipe that produces the most valuable stones. The strong dividend, including further potential hikes, and share price growth makes Lucara a compelling investment under $3.00. Disclosure: The author owns shares of Lucara Diamond Corp. and Tsodilo Resources but has no business relationship with either company. Lucara paid for flights to the Karowe mine site and associated costs, but not safari costs. Readers should always conduct their own research, do thorough due diligence and/or obtain professional advice. This article is solely for information purposes. Nothing contained herein constitutes a representation by the publisher, nor a solicitation for the purchase or sale of securities. The information contained herein is based on sources which the publisher believes to be reliable, but is not guaranteed to be accurate, and does not purport to be a complete statement or summary of the available data. Any opinions expressed are subject to change without notice. The author and their associates are not responsible for errors or omissions. 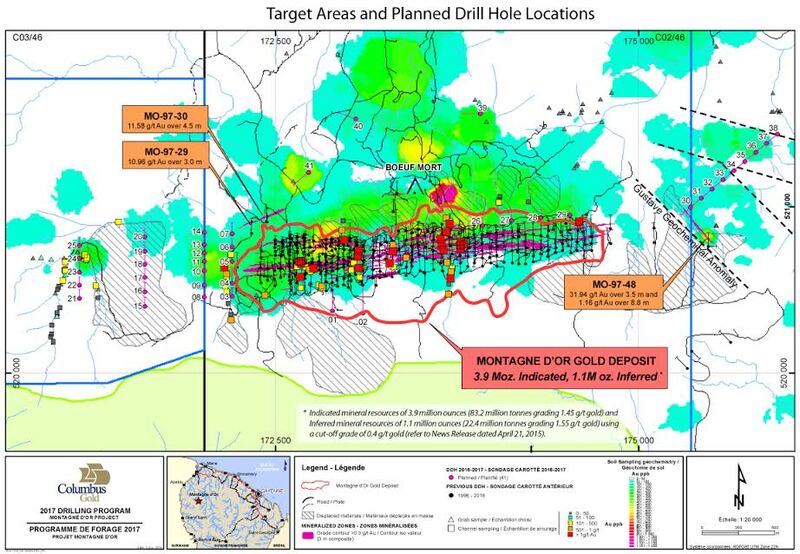 On March 20, Columbus Gold (CGT-T) released a bankable Feasibility Study on its Montagne d’Or gold deposit in French Guiana. The study was funded by major Nordgold, which earned into a total 55.01% interest in the project by completing it on an accelerated three-year timeline. The FS showed a net present value of US$370 million ($500 million Cdn) at a 5% discount rate and an after-tax Internal Rate of Return of 18.7%, at US$1,250/oz gold. Average annual gold production for the first 10 years (12-year mine life) would be 237,000 ounces at an average grade of 1.73 g/t, based on proven and probable reserves of 2.745 million ounces of gold. The economic study vaulted Columbus Gold into a small group of companies globally with advanced-stage, FS-level projects capable of producing more than 200,000 ounces a year at above-average gold grades. However, investors focused on the lower-than-expected 18.7% after-tax IRR (a 2015 PEA with higher production showed an after-tax IRR of 23%). The following day Columbus shares fell 12% (from 99 cents to 87 cents). The stock has since recovered to 93 cents for a market capitalization of $142.1 million. Economics. With some modest investments in infill drilling and optimization, the after-tax IRR on Montagne d’Or is likely to move to 20% or even higher. And the major mining companies now taking a hard look at the 5-million-ounce Montagne d’Or deposit are interested even below 20%. With the FS in the bank, Nordgold now has 90 days to make a construction decision. If Nordgold goes ahead, Columbus can elect to fund its portion by diluting its interest in the project. The dilution formula was pegged to the number of reserve ounces outlined in the FS, giving Nordgold a disincentive to improving project economics. The deposit has 3.9 million Measured and Indicated ounces but only 2.75 million of those made it into proven and probable reserves. Now that Montagne d’Or is owned 55% Nordgold/45% Columbus, the JV partners are on the same page — making the economics robust and/or getting top dollar for the deposit. Size. Size matters to majors, which wring out profits through economies of scale. The majors are increasingly only interested in mineral deposits they can turn into districts. Replenishing ounces has never been more critical in an industry where assets decline by the day. The large and growing (see #3) Montagne d’Or deposit fits the bill. Drilling. The FS is an important milestone but not the finish line. Columbus is cashed-up and drilling at Montagne d’Or, for both resource expansion and discovery. The program consists of 36 core holes and 5,520 metres testing four target areas. One long 750-metre hole tested the depth extension of gold mineralization under the deposit envelope. Other holes will test the west extension of the deposit, a geochemical anomaly 750 metres east of the deposit, and mesothermal quartz/gold vein systems. Montagne d’Or is already a large deposit — hitting on this drill program will make it even more valuable. 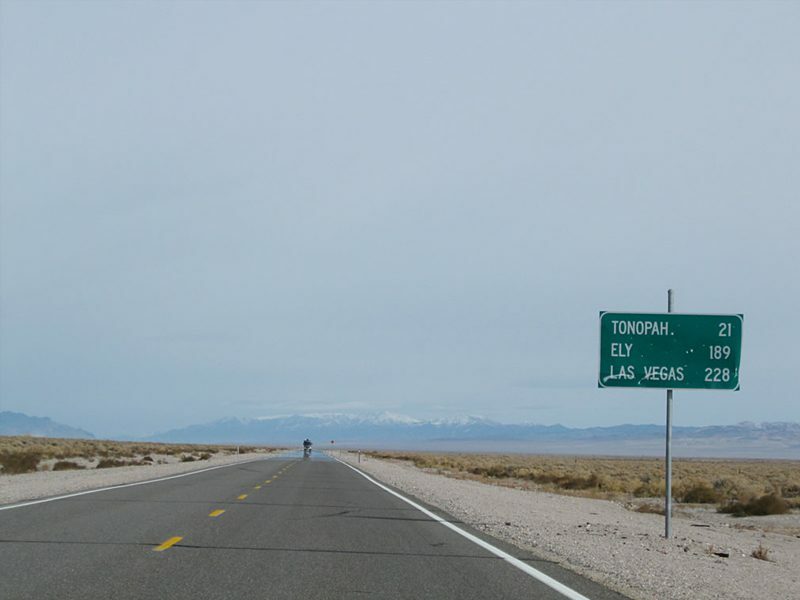 Eastside in Nevada. Once Montagne d’Or is sold or developed, Eastside likely becomes Columbus Gold’s flagship project. Last year Columbus released a maiden resource estimate on Eastside showing an Inferred, pit-constrained resource of 721,000 ounces gold-equivalent, at an overall grade of 0.63 g/t. That resource is confined to just one square kilometre on the 58-square-km project. In January, Columbus added another 272,153 gold ounces (historical estimate) by purchasing claims adjoining Eastside’s southern boundary. Columbus has been quietly adding to its Nevada land package and systematically zeroing in on top targets. A 12-hole, 3,700-metre drill program is underway on a target that is geologically identical to the Original Target, which hosts the 721,000-ounce resource. Andy Wallace. 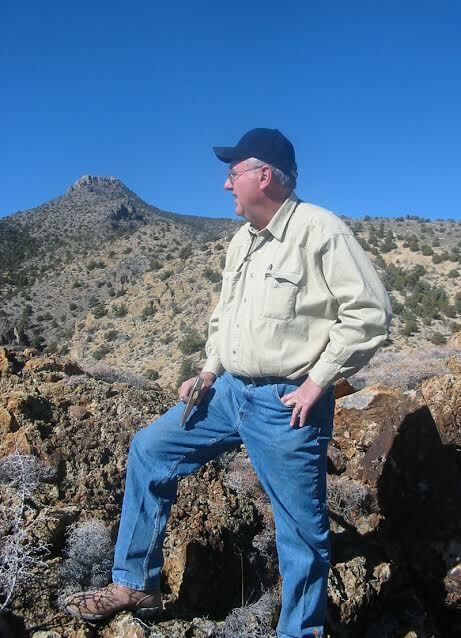 The geologist is the principal of Cordex Exploration and runs Columbus Gold’s Nevada operations. Cordex was founded by the late John Livermore, who became the father of Nevada gold mining when he discovered the Carlin gold mine and a new type of mineralization known as Carlin-type. Wallace joined Cordex in 1974 at the height of the Nevada gold rush and has worked there ever since. Cordex is credited with multiple major discoveries in Nevada, several of them under his management. Wallace’s experience and expertise gives Columbus an important edge in one of the best gold mining jurisdictions on the planet. Disclosure: Author is long Columbus Gold shares and the company is a Resource Opportunities sponsor. This article is presented for informational purposes only and should not be considered investment advice. Junior mining investments are speculative and not suitable for many investors. Always do your own due diligence. Nothing contained herein constitutes a representation by the publisher, nor a solicitation for the purchase or sale of securities. The information contained herein is based on sources which the publisher believes to be reliable, but is not guaranteed to be accurate, and does not purport to be a complete statement or summary of the available data. Any opinions expressed are subject to change without notice. The author and their associates are not responsible for errors or omissions. This special report on Yukon mining plays was sent to Resource Opportunities subscribers on January 5. Share prices have been updated but market capitalizations reflect the timing of the dispatch. The last Resource Opportunities special offer was very well-received, so I’m offering a January special for those who missed out. New subscribers can get a 1-year discounted subscription for just $99 — a savings of $200 off the regular price — by entering coupon code JANUARY at this link. The year is young, but early portfolio company gains show why savvy speculators are choosing Resource Opportunities. Erdene Resource Development (ERD-T), a Resource Opportunities pick at 37.5 cents on Sept. 30, has surged to 86 cents on drilling success at the company’s high-grade, near-surface gold discoveries in Mongolia. NexGen Energy (NXE-T), a Resource Opportunities pick at 30 cents, is approaching 10-bagger territory as excitement builds ahead of a resource update at its uber-high-grade Arrow uranium deposit in northern Saskatchewan. Join Resource Opportunities today and prosper! I trust you enjoyed the holidays. In the (SW) corner of Canada where I live, we experienced the novelty of a white Christmas — something most Canadians live through annually. Snow or not, the pace of life slows at this time of year, and so do the markets. While many junior mining stocks have rallied of late, it’s a quiet time in the markets and volume is typically low. It’s also a quiet period in the Yukon, the focus of this dispatch. At the time of writing it was -19 Celsius (-2 Fahrenheit) in Whitehorse, the Yukon’s capital, and even colder in the northern mining hub of Dawson: -22. The days are dark, and needless to say, mining projects in the Territory are buried under snow. News flow is frozen too. Quite a contrast from July, when I toured several exploration and development projects that were buzzing with activity. Drills were turning, gold was riding high and M&A talk was in the air. One of our stops was Goldcorp’s Coffee project, acquired from Kaminak Gold just two months earlier for $520 million. Agnico Eagle — one of the companies that was interested in Coffee — is the latest major to enter the Yukon, paying $14.5 million to acquire 19.9% of White Gold Corp. White Gold has the option to acquire more than 12,000 claims staked by legendary Yukon prospector Shawn Ryan, who will be a major shareholder of the new company. So it’s frozen, but signs of life are stirring beneath the snow cover. And parkas are required clothing for Yukon winters, but you don’t buy one now. The best time to get bargain pricing on a winter coat is when you don’t need it, after winter is over. Better yet, when the sun is blasting every day and the grass has died. And the best time to pick up high-quality junior mining stocks with Northern projects for low prices is right now. This year the bargains are even better because of gold’s decline from summer highs of US$1,365/oz to the current (still rather chilly) $1,1164/oz. In alphabetical order, here are summaries of several Yukon plays whose share prices are likely to warm up along with the weather, as exploration and drilling programs get underway and results come in. The Yukon has long been recognized as one of the world’s most prospective mineral jurisdictions — a contention validated by investments from Kinross (Underworld’s White Gold project), Goldcorp and Agnico Eagle. Things are buzzing again in the Yukon after a period of relative stagnation. Several of the Yukon plays have moved hard last week with gold’s rise, but this isn’t the big move. Just remember to take some profits when it’s shorts and T-shirt weather, because all these stocks are cyclical. Please see important disclosures at the bottom. Good luck with your bargain hunting! Arcus remains under the radar, but its properties are among the best in the prolific White Gold district. Chief among them is Dan Man north of Goldcorp’s Coffee project, between Coffee and the Yukon River. Significantly, many of the 5 million ounces of gold at Coffee are located along north-south trending hydrothermal structures on the northern boundary, very near Dan Man. In October, Goldcorp took a 19.9% stake in Arcus after securing a similar foothold in Independence Gold, and Goldcorp will help design Arcus’s 2017 exploration program. Arcus is run by Ian Talbot, a lawyer and exploration geologist who was in-house counsel for BHP Billiton in Vancouver. Presumably he knows a thing or two about dealing with majors. Talbot is also chief operating officer of Strategic Metals. With any kind of exploration success by Arcus at Dan Man, snapping up the rest of the company would be a no-brainer for Goldcorp. Agnico’s recent investment in White Gold Corp. values the latter company at more than $70 million, many multiples of Arcus’s market capitalization. The stock hasn’t moved much, despite a likely drill program this year. For more on the company, see the special alert sent to Resource Opportunities subscribers on Oct. 24. Alexco’s latest assays from the high-grade Bermingham discovery can be measured in kilograms, not grams. The best intercepts (true width) included 7.16 metres of 4,375 g/t silver and 3.98 metres grading 6,477 g/t. On Tuesday Alexco updated its silver resource at Bermingham — indicated ounces grew from 5.2 to 17.3 million, inferred from 700,000 to 5.5 million ounces. Bermingham is one of two new deposits being explored by Alexco, which shut down operations at its Bellekeno mine in 2013 because of low silver prices. The other deposit is Flame & Moth, located near a processing plant that is ready to go at the flick of a switch — when silver prices cooperate. Indicated ounces in the entire Keno Hill district now sit at 67.5 million, up 22% from the previous tally. There are two major headwinds for Alexco: the silver price and a 25% silver stream that Silver Wheaton has on Alexco’s entire district. The stream was the price Alexco paid to finance in October 2008 during the height of the financial crisis. The terms have been amended but are still very punitive, and renegotiating the stream is a top priority. Perspective: Alexco shares are not trading much higher now than they were when the company announced the Silver Wheaton financing. Alexco stock, which also trades on the NYSE MKT as AXU, offers tremendous leverage to the price of silver, currently US$16.50/oz. ATAC is developing the Rackla project, Canada’s only Carlin-type gold district in the mountains of the Yukon. The rocks are comparable in lithology, mineralization and age to the Nevada trend that has produced more than 50 million ounces of gold. Rackla is a vast 1,700-square-kilometre property but the 30-kilometre Nadaleen Trend in the east is where much of the high-grade gold has been found in recent years. The latest intercepts included 61.29 metres of 2.75 g/t Au in the Orion zone at Nadaleen. ATAC also has the PEA-stage Tiger deposit in the Rau trend on the western part of the property. ATAC has consistently returned intercepts that are off-the-charts rich for the Yukon, including 38.8 metres of 17.11 g/t Au (2010) and 30.79 metres of 9.5 g/t (2014). The gold is rich but the exploration is expensive — some of the sites with the most gold are on mountaintops and require helicopters to visit and drill. ATAC shares have powerful leverage to gold and reached $10 a share in the summer of 2011 — a fact that puts the 26% move since Dec. 21 into perspective. Also in 2016, ATAC released an updated PEA for Tiger with better economics, including significant boosts in NPV, recovered gold and mine life. The stock has made a round trip from 30 cents at the start of the year, to almost a dollar at the end of July, to the current 43.5 cents. The Yukon’s White Gold district gets much of the attention these days. 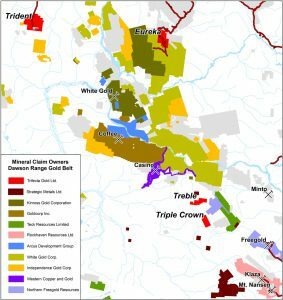 But Strategic Metals CEO Doug Eaton (Strategic owns 8.3% of ATC shares) reckons that in 100 years, the Nadaleen trend where ATAC has a dominant land position will have produced more gold than the Klondike trend that hosts the White Gold district. And Eaton probably knows as much about Yukon geology as anybody. Banyan is a relatively new play in the southeastern corner of the Yukon that is exploring the Hyland project. The company has an almost 400,000-oz gold-equivalent resource at a grade of about a gram per tonne AuEq, with a goal of adding ounces. Banyan had some drilling success in the fall, announcing assays including 30.7 metres of 1.3 g/t Au and 8.0 g/t Ag. The company says its Hyland project has similar Carlin-type mineralization to ATAC’s Rackla. 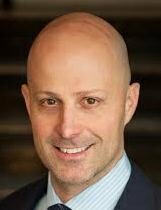 There are also strong ties to Victoria Gold (VIT-V) — Victoria owns 8% of Banyan’s stock and the company’s chairman is Mark Ayranto, Victoria’s executive vice-president. In August geological engineer Tara Christie was appointed Banyan’s president — she comes from a powerful Yukon placer mining family and is married to Victoria Gold CEO John McConnell. Christie and Ayranto together own more than 8% of outstanding shares and the tight share structure ensures the stock will move on drilling success. I recently purchased some as a speculation. During my visit to Golden Predator’s Three Aces project in July, I chipped rocks beside CEO Bill Sherriff as several of us searched for elusive visible gold (VG) at the site of a bulk sample. And we found some — it was Greg Hayes, then CFO and now a director, who identified some VG. 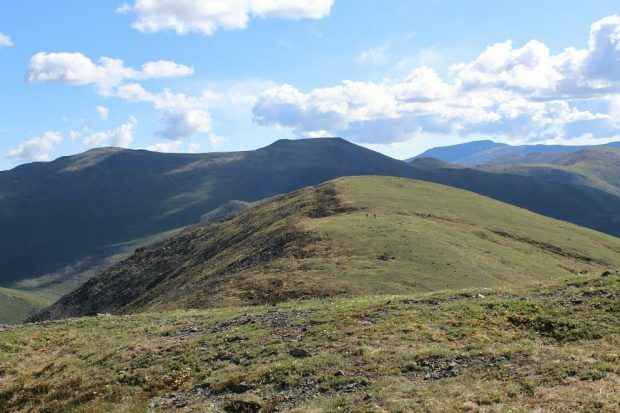 Three Aces is Golden Predator’s exploration project north of Watson Lake in southeastern Yukon and home to two of the highest-grade surface outcrops ever discovered in the Yukon. 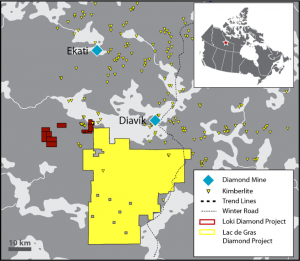 Assays from a 4,300-metre 2016 drill program that went late are expected to be released in early 2017, which could be a catalyst for the stock. This year the company plans to drill up to 25,000 metres, so plenty of news flow is likely. Golden Predator also owns the Brewery Creek mine, a past-producing heap-leach operation located east of Dawson. Golden Predator is well-funded, with backers including Eric Sprott, McEwen Mining and Pat DiCapo. CEO Sherriff is a savvy operator with a promising exploration project near infrastructure and a development project that is economic at a higher gold price. Independence Gold is exploring for high-grade gold on the property adjacent to Coffee’s western boundary. Independence CEO Randy Turner is a closeology expert whose exploration chops have been honed by both skill and luck. Turner sold his Winspear Diamonds and its Snap Lake diamond project to De Beers for $305 million in 2000 and followed that up by selling Silver Quest and its 25% of the Blackwater gold project to New Gold (NGD-T) for $131 million in 2011. Luck: Turner happened to be holidaying in the Yukon with his wife when Kaminak announced its discovery hole at Coffee. He quickly staked virtually all the property on Coffee’s western boundary and has been running small exploration programs ever since. Intercepts have included 7.23 g/t gold over 12.2 metres (Sunrise) and 4.56 g/t over 10 metres at Denali, the latter from surface. Goldcorp acquired 19.9% of Independence in June. IGO surged to 50 cents in the summer but is now trading at about the same valuation as when Goldcorp bought in. Unique to Independence is the bulging treasury: IGO has more than $6 million in the kitty and a market capitalization of just under $11 million. The stock was a Resource Opportunities pick at 8 cents (August 2015) and has risen 30% since Dec. 21. But there’s plenty more upside here. 2016 was a disappointing year for Klondike Gold shareholders. The stock ran from 11 cents to highs of 45 cents before plunging in August when the company announced several dusters at Violet Ridge, one of its Dawson-area projects. However, Klondike also consolidated an already dominant land position and announced some very good assays, particularly in the Nugget Zone and at Lone Star. 2017 has the possibility of starting out with a bang, too — Klondike has yet to release assays from its final holes at Lone Star, which were delayed by lab problems. With the larger land package, CEO Peter Tallman plans property-wide surveying to narrow down the best targets. Klondike’s drilling costs are among the cheapest in the Yukon and Tallman is playing the long game. Major shareholders include billionaire financier Frank Giustra and Roberto Aquilini of the Vancouver-based billionaire family that owns a vast array of assets, including the Vancouver Canucks hockey team. Tallman is searching for the motherlode that has deposited 20 million ounces of gold into area creeks over the past 120 years. But the discovery of an economic deposit would make Klondike’s stock worth many multiples of the current price. The journey between here and there will likely be bumpy but this is a low valuation considering the upside speculative potential. Rockhaven’s Klaza is a high-grade polymetallic gold project with excellent infrastructure — you can drive a Honda Civic to the property, as CEO Matt Turner will tell you. But it also has a size problem: the deposit needs more ounces to improve economics. A PEA announced in March outlined a 14-year mine life that would start with an open pit and move underground, utilizing three (expensive) declines. Life-of-mine, the operation would produce 630,000 oz gold, 11.364 million oz silver, 51.2 million lbs lead, and 52.5 million lbs zinc. But total capex was $358 million and payback was 7 years, for a project with a pre-tax NPV (5% discount) of $150 million and IRR of 20% and after-tax NPV of $86 million and IRR of 14%. I published a sell recommendation in April at these levels, although still have exposure to Rockhaven through Strategic Metals, which owns 46.5% of Rockhaven shares (on Tuesday, Rockhaven announced it was settling a $2-million debt by issuing Strategic another 11,346,712 shares). Market reaction to the PEA last spring was tepid and Rockhaven shifted to drilling out and expanding the deposit. 2016 was a success on that front — drilling targeted near-surface veins that are close to the open pit but not included in the existing resource. In September, for example, Rockhaven hit 17.01 g/t gold over 4.32 metres in a stepout hole. – spinning out wholly owned subsidiary Terra CO2 Technologies. Terra CO2 is a green-tech company working on a technology that treats acid rock drainage by reacting it with discharged CO2 to produce a stable metal carbonate compound and saleable sulphur byproducts. Terra CO2 has reached the semifinals of the international Carbon XPRIZE competition, where first prize is US$7.5 million. Perspective: Metallic Minerals, the new company that acquired Strategic’s two Keno Hill properties, has a market cap of $14 million. That’s about a third of the market cap of Strategic, which has a host of valuable assets, significant stakes in several explorecos and a large cash pile. Victoria’s Eagle gold project is shovel-ready, with all permits in hand and an agreement with the local First Nations. Victoria has a mineral reserve of 2.7 million ounces and the potential to produce 200,000 ounces annually at low costs. It’s a lower-grade operation (.73 g/t Au), but a low strip ratio and the addition of richer satellite deposits sweeten the economics. At a US$1,250/oz gold price and a 78-cent dollar, Eagle has a post-tax NPV of $508 million and IRR of 29.5%. Last year, speculation that Victoria Gold could be the next company to sell to a major took shares above 75 cents. The stock drifted down to the low-.40s last month and has since rebounded. There are vast stores of gold and copper at Western’s Casino project, located near Goldcorp’s Coffee deposit. Casino’s proven and probable reserves measure 8.9 million ounces of gold and 4.5 billion pounds of copper, with a further 9 million gold ounces and 5.4 billion pounds of copper in the Inferred category. It would be the biggest mine in Yukon history and a major economic driver, with a 22-year mine life and capex of almost $2.5 billion. An LNG plant would power the whole operation. But Casino is also a dice roll because the project has been stuck in the laborious permitting process. That’s in large part due to a massive tailings dam, which was the subject of an independent review panel that suggested a few design changes. One of the changes will result in significantly less water — 80% less — than the prior iteration. Memories of the August 2014 tailings dam failure at Imperial Metals’ Mount Polley mine in British Columbia and the more serious Samarco disaster, which killed 19 people, loom in the background here. Western has an airstrip and currently transports materials by barge to the site, but a 120-kilometre unpaved road is planned. Because of the project’s size and footprint, Western is dealing with three separate First Nations. Permitting progress is never too headline-grabbing. But the stock has moved hard from the 30-cent level less than a year ago and Western is taking steps to derisk the project as it moves through permitting. Disclosure: I own shares of Arcus Development Group, Alexco Resource Corp., Banyan Gold, Independence Gold, Klondike Gold and Strategic Metals. Strategic Metals is a Resource Opportunities sponsor. Editorial Policy: Companies are selected for presentation in this publication strictly on their merits, and Resource Opportunities sponsors are selected on their merits as well. No fee is charged to companies for inclusion, and a small number of sponsor companies help financially support the subscriber-funded newsletter by keeping subscription prices low. Dollar and $ refer to Canadian dollars, unless stated otherwise or obvious from the context (for example, a share price on a Canadian exchange). Copyright: This publication may not be reproduced in whole or in part, in any form, without the express permission of the publisher. Permission is given to extract parts of the report for inclusion or review in other publications only if credit is given, including the name and address of the publisher. It’s been a company maker for several of the world’s most successful mining companies, notably Barrick Gold (ABX-T) and Franco-Nevada (FNV-T). Barrick’s purchase of Goldstrike and subsequent discoveries turned the property into a 50-million-ounce monster and Barrick into the world’s No. 1 gold miner. Franco-Nevada’s 4% royalty on Goldstrike laid the foundation for what has become a $13-billion market cap royalty juggernaut. Key to the Nevada gold story is Cordex, the exploration firm founded by legendary geologist John Livermore. 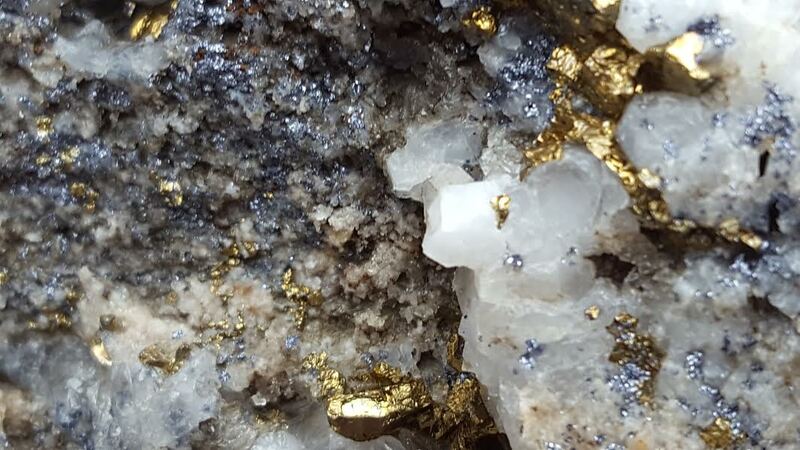 Livermore found the Carlin mine and discovered a new type of gold mineralization known as Carlin-type. 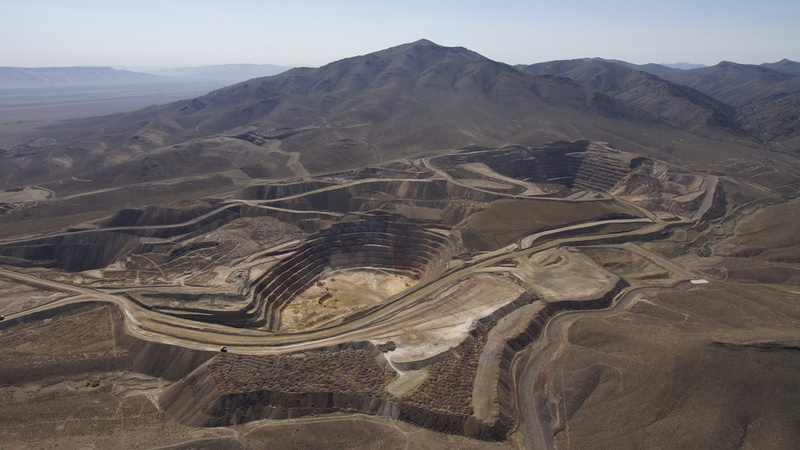 Under the leadership of Livermore and later Andy Wallace, Cordex is credited with 9 significant gold discoveries in Nevada, including the multi-million-ounce Carlin and Marigold mines. In the space of 50 years, Nevada has become the world’s best gold mining jurisdiction. The state’s largest export partner is Switzerland, a testament to the amount of gold that starts under the Nevada desert and ends up in bank vaults in the wealthy European banking centre. Nevada gold is also, increasingly, the focus of Columbus Gold (CGT-T), which earlier this week released a maiden resource estimate for its Eastside gold deposit in the state. At a .15 g/t cutoff and US$1,300/oz gold, Eastside hosts an Inferred resource of 654,000 ounces of gold at average grades of .57 g/t and 3.999 million ounces of silver at grades of 3.5 g/t. It works out to 721,000 ounces of gold equivalent. The first pass at a resource estimate is literally scratching the surface at Eastside, notes Columbus Gold Chairman and CEO Robert Giustra. Only about 50% of mineralized material was included in the pit-constrained resource estimate, and the deposit is open at depth and to the south and west. Metallurgy tests have demonstrated the gold and silver is amenable to cyanide leaching, whether oxide or sulfide. 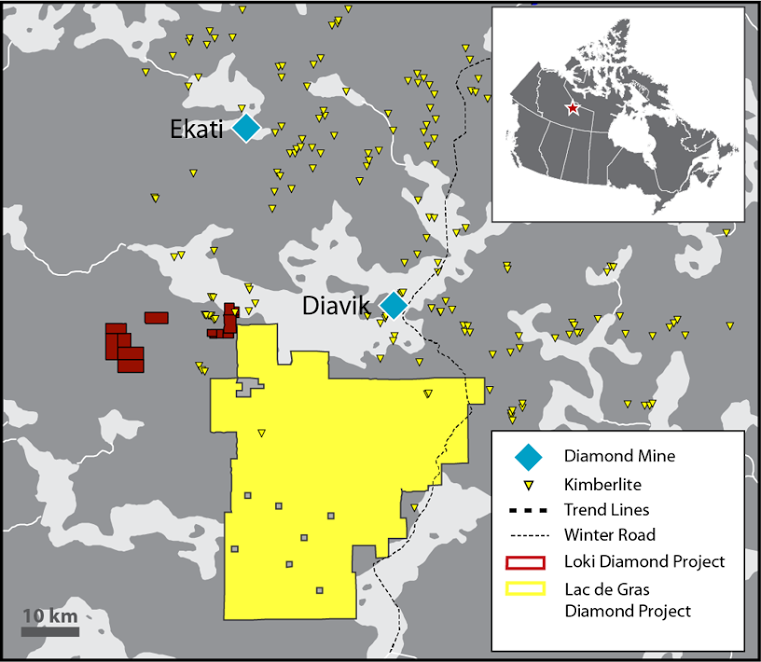 “Considering that only about one square kilometer of the large 58-square-kilometer property has been drilled so far, and only 136 holes drilled, a maiden resource of 721,000 ounces constrained in a pit, is an excellent start,” Giustra said. And Columbus is busy planning its next steps, most recently consolidating its land package and planning the next drill campaign. 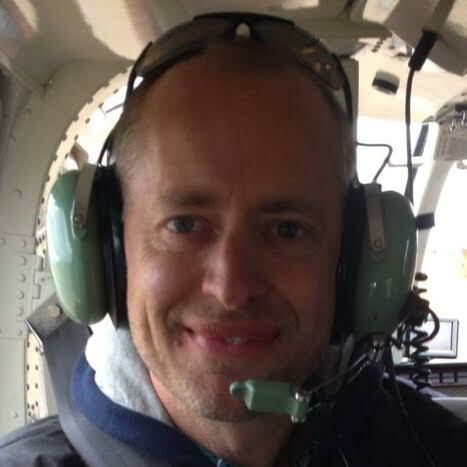 The architect of value creation in Nevada is none other than geologist Andy Wallace of Cordex, Columbus’s exclusive exploration partner in Nevada. In a nutshell, Columbus has a Nevada discovery pioneer running their exploration programs in one of the world’s best gold mining jurisdictions. It bodes well as 2017 comes into focus. While the maiden resource estimate was being prepared, Columbus turned its attention to grassroots exploration. Company geologists used mapping and geochemical sampling — including 3,400 surface samples — to identify 41 rhyolite domes. The domes are important geological features associated with gold mineralization at the Original Target, where most of the resource drilling at Eastside took place. The domes range in diameter from 100 to 1,000 metres and are located along dozens of faults on Columbus’s claim block, mostly trending north or northeast. At one of its highest-priority targets, Target 5 (eight kilometres south of the Original Target), Columbus recently received a permit to construct a road and drill pads and drill 12 holes. The company also recently concluded two deals at its 100% owned Bolo gold property, northeast of Eastside, that expanded the land package and eliminated a royalty. Bolo is a secondary Nevada exploration property, but Columbus is considering a small drill program after the land consolidation. Mineralization is Carlin-type and occurs in pods along two parallel faults, each of them more than 2.2 kilometres along strike. That makes it higher-risk exploration. 51.8 meters of 1.27 g/t gold from surface in BL-41. As for the land agreements, they’re a testament to the benefit and cost savings that can be achieved by having an experienced hand on the ground in Nevada. In the first, Columbus opportunistically picked up the “Uncle Sam” patented claim after the claim holder stopped paying taxes on the land. Columbus petitioned the county to secure the claims, then patiently and quietly went through a multi-step legal process that ended with them securing the land. 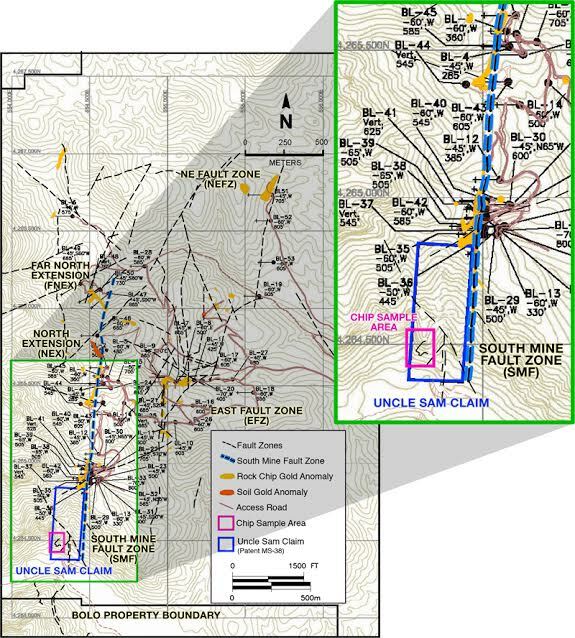 Uncle Sam is a key claim on the southern end of the South Mine Fault Zone — near some of the best drill holes — and it was picked up for a relative song, CEO Giustra says. Surface sampling at Uncle Sam is underway. In the other deal, Columbus eliminated an underlying 1-3% NSR royalty on Bolo by swapping its Weepah property to the royalty holder. Weepah was a non-core property located south of Eastside. 2017 is also shaping up to be a big year at Montagne d’Or, Columbus’s multi-million-ounce gold deposit in French Guiana. Montagne d’Or hosts an in-pit gold resource of 3.9 million ounces Indicated at average grades of 1.45 g/t and an additional 1.1 million Inferred ounces at a grade of 1.55 g/t, at a 0.4 g/t cut-off. 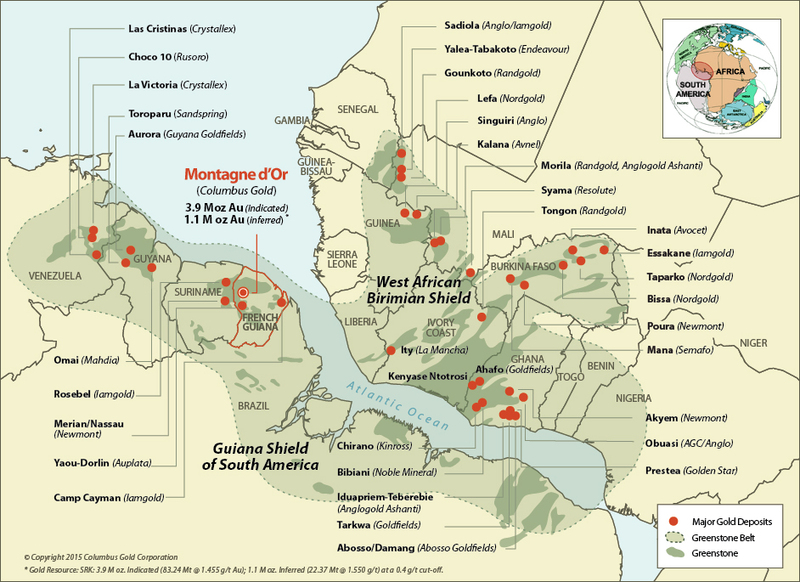 A bankable feasibility study for Montagne d’Or is expected to land in the first quarter. Gold miner Nordgold can secure a 55.01% interest in the project by funding a minimum of US$30 million in exploration expenditures and completing the FS. 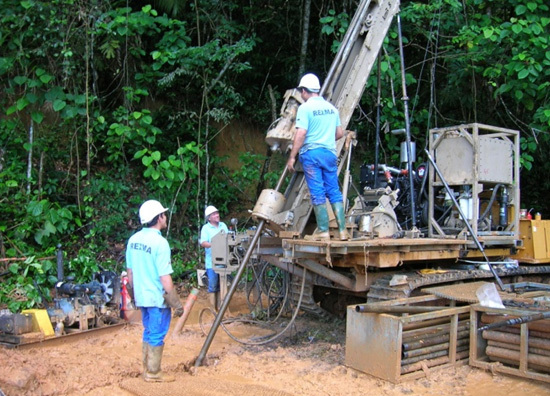 Montagne d’Or has excellent infrastructure and would be one of the highest-grade open pit gold projects in the Americas. At a US$1,200 gold price, a PEA for Montagne d’Or modelled an NPV of US$450 million (5% discount rate), after-tax IRR of 23% and annual gold production of 273,000 ounces in the first 10 years at all-in sustaining costs of US$711/oz. Capex would be US$366 million, with a 3-year payback. JV partner Nordgold is the natural acquirer for Columbus’s 44.99% stake in Montagne d’Or. Nordgold is a fast-growing and acquisitive Russian-based producer listed on the London Stock Exchange. The company operates 9 mines in Russia, Kazakhstan, Burkina Faso and Guinea and produced 950,000 ounces of gold in 2015. Its newest operation is the Bouly gold mine in Burkina Faso, which went into production in September after a 13-month build that came in under budget. Nordgold’s latest financials paint a picture of a thriving mining company generating healthy cash flow. In the third quarter of 2016, Nordgold generated EBITDA of US$131.8 million and operating cash flow of US$109 million on revenue of US$278 million.. The company’s Gross mine in Russia is expected to go into production in the first quarter of 2018, after which Montagne d’Or will be the only major gold deposit in Nordgold’s pipeline. But rather than sit back and wait for a takeover offer, Columbus is working to add value to an already strong project. The company is mobilizing for a 41-hole, 6,750-metre drill program testing targets both within and outside the deposit envelope. 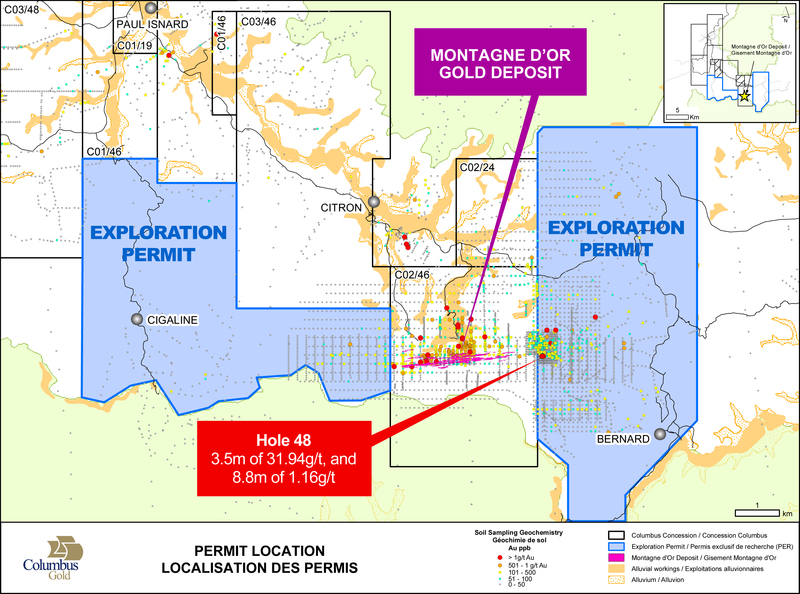 Columbus will test the west and east extensions of Montagne d’Or, including a geochemical anomaly 750 metres east of the deposit where a historical hole hit 31.94 g/t gold over 3.5 metres. In addition, two holes will test the depth of mineralization — little drilling has been done below 250 metres at Montagne d’Or. Drill permits are in hand and Columbus is building roads and drill pads and mobilizing drills this month. Columbus is fully financing the exploration program. Columbus shares have outperformed the S&P/TSX Venture Composite Index this year. But the stock has drifted down along with the entire junior sector since the summer, when gold peaked at US$1,350 an ounce. After hitting a 52-week high of 93 cents in August, Columbus shares have fallen to 54 cents on the Toronto Stock Exchange, giving the company a market capitalization of about $77.2 million. But in intensifying the downward pressure on Columbus shares, tax-loss selling creates opportunity for investors. 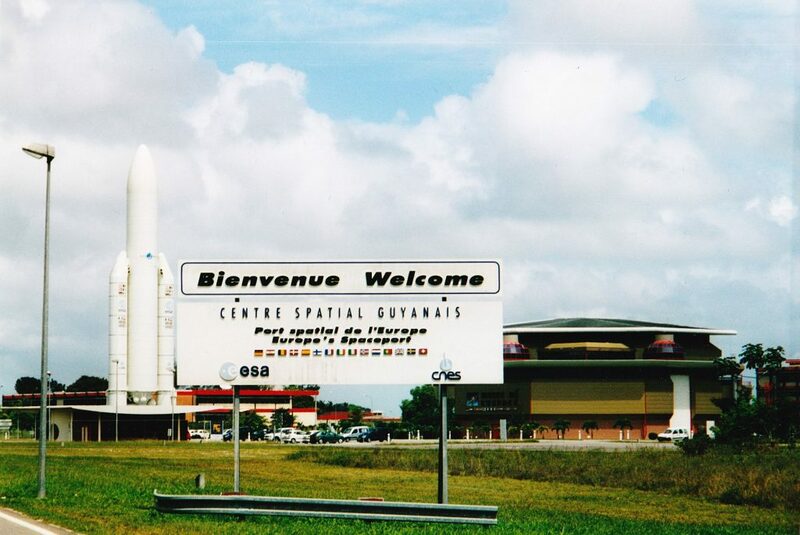 Columbus is a catalyst-rich gold play with active drill programs at both the Montagne d’Or development project in French Guiana and the Eastside exploration project in Nevada. In Nordgold, Columbus is partnering with an acquisitive, world-class gold producer to develop a five-million-ounce gold deposit in the Americas. In Nevada, one of the world’s best gold mining jurisdictions, Columbus is advancing exploration both at and beyond its Eastside project. A follow-up drill program is being planned at Eastside, where a just-published maiden resource estimate shows an Inferred resource of 721,000 ounces of gold equivalent at .63 g/t AuEq at a cut-off grade of 0.15 g/t and a gold price of US$1,300/oz. Originally published Sept. 16 for Resource Opportunities subscribers. Join us as we uncover the best investment ideas in the junior mining universe! Only $299 for 1 year and $449 for 2 years. 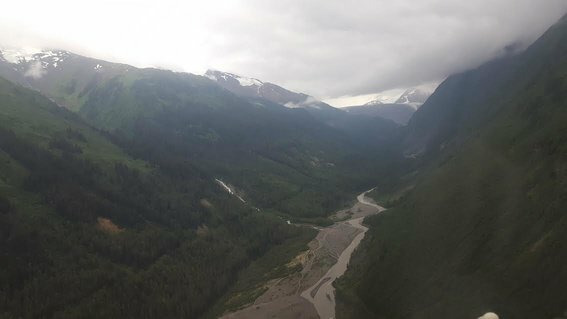 Getting to IDM Mining’s Red Mountain gold project in northwestern British Columbia wasn’t quite “planes, trains and automobiles,” but it was close. First I flew from Vancouver into Smithers. There’s some family history in the neighbourhood — down the road is Houston, where my grandfather settled with his family after emigrating from the Netherlands. There’s some family history for IDM CEO Rob McLeod, as well. From Smithers it was into a rental car for the 330-kilometre trek to Stewart, nestled beside the Alaska panhandle. Jagged mountain peaks and tall waterfalls make the final approach beautiful. A helicopter picked me up for the last leg to Red Mountain, 15 kilometres northeast of Stewart. It was a cloudy day, so the pilot had to take the “long way,” threading his machine through the Bitter Creek Valley to the site. It’s the same route the road will take from Stewart — in the helicopter, it was still only about 10 minutes. Red Mountain mine workers would have an easier commute — a 45-minute trip by road to the mine site. IDM is working on a feasibility study as it plans a small, scalable high-grade gold mine at Red Mountain. Previous owners have sunk more than $45 million into the project, including construction of a portal and ramp into the mountain to access mineralized zones. IDM Mining is named for Rob’s father Ian and his uncle Don McLeod, underground miners who explored and mined some of the most well-known deposits in northwestern British Columbia and beyond — including Pretium’s Brucejack. Stewart, Rob’s hometown, was a mining hub for much of the 1900s. Now, its decline is reflected in abandoned storefronts and empty houses. But “the times, they are a-changin.” IDM’s Red Mountain is part of a mining revival backed by the pro-mining provincial government. One of the visible indicators of the shift is the 287-kilovolt Northwest Transmission Line, parts of which hug Highway 37 as it snakes its way north. The $500-million power line was built by the B.C. government to open up the remote northwest of the province to mining and industrial development. The first operation to tap into it is Imperial Metals’ Red Chris open-pit copper mine, which began mining in early 2015. IDM’s operation won’t tie directly into the line. But the implications of the power boost are far-reaching for all of the juniors and development companies operating in the heavily mineralized region. And if you pay attention on the drive to Stewart, there are also signposts — literally — highlighting IDM Mining’s advantage. Those are the signs advertising the King Edward Hotel in Stewart, which Rob’s father Ian owned and operated for many years. The family sold the hotel a few years back, but it speaks to McLeod family roots in Stewart. For McLeod, Red Mountain is personal. As he put it to me in a conversation some time ago, “This is our turf.” An operating mine near Stewart would mean work close to home for friends in the industry who have been navigating the bear market by flying wherever there is work. It’s an intangible that doesn’t factor into financial or economic models, but I believe it’s significant. It takes a team to build a mine, and another key component is IDM’s executive chairman, Michael McPhie. He’s a veteran operator who has served as CEO of the Mining Association of B.C. and chairman of industry group AME BC. He’s currently managing director of JDS Gold. They say a photo is worth 1,000 words. The one on IDM Mining’s home page features McLeod, McPhie and Jeff Stibbard, who runs JDS Energy & Mining (currently working on IDM’s Red Mountain FS). As I approached Stewart in the rental truck, the bugs arrived, and their pitter-patter on the window almost sounded like drizzle. Soon enough the rains came, and then the mountains — towering giants casting off waterfalls and glaciers. Just outside the port of Stewart, another sign of changing times. The highway closed temporarily to northbound travellers to allow through a convoy of trucks transporting giant wind turbine parts to a large wind farm project outside of Tumbler Ridge, in northeastern B.C. It was near nightfall when the helicopter pilot and I arrived at the Red Mountain camp. I stayed in one of the comfortable pods, complete with heater. My visit wasn’t long but we covered a lot of ground, after a geological briefing at the camp’s nerve centre. The first foray was up the mountain (in a helicopter) and underground, into the access ramp. Haul trucks will transport ore between the underground workings and the mill, located below the camp in an area called Bromley Humps. The tunnel was in good shape, with little evidence of rock fall, despite being largely abandoned for most of the 20 years since it was blasted out by LAC Minerals. In addition to the portal and underground workings, IDM inherited mining equipment including some of the haul trucks that will go underground. During the visit, IDM was dewatering in the two kilometres of existing underground workings. The company was also drilling underground — a step-out from the Marc Zone that was outside the resource envelope. The geo in charge of that hole was so enthusiastic about the rocks she stayed up the mountain late that night to collect more core. Subsequent assays, reported Sept. 6, backed up her optimism. Hole U16-1185 intercepted 14.19 metres (true width) of 5.78 g/t gold and 24.15 g/t silver. Another Marc Zone step-out hit 13.77 metres (true width) of 5.72 g/t Au and 34.89 g/t Ag. There was also a discovery hole of 6 metres grading 7.43 g/t Au and 12.51 g/t Ag. The latter was a step-out hole below the Marc Zone and 70 metres outside the resource as currently defined. The area has been dubbed the NK Zone (after assistant project manager Natalie King). 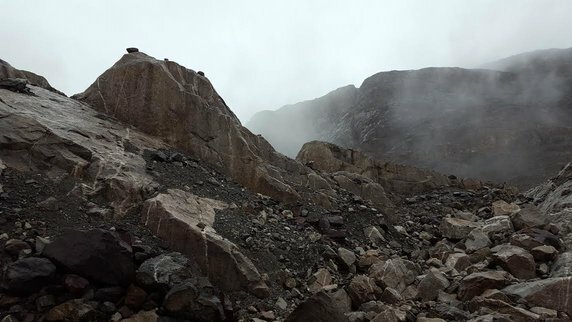 It was gusty and raining atop Red Mountain before we descended into the darkness of the access ramp, offering a glimpse at what winter must look like when the white stuff is blowing. It’s why IDM plans to mine for 8 months and shut down during the worst 4 months of the year, stockpiling the rest of the ore at a mill further down the mountain that will operate year-round (The initial plan called for the entire operation to be shut down for 4 months). The mill is several kilometres closer to Stewart than the main ore body. In July IDM released an updated PEA with better economics than the 2014 iteration as well as a new tailings location. IDM now plans to process 1,000 tonnes per day year-round based on underground mining rate of 1,500 tpd for 8 months annually. That change increases the amount of gold produced over the 5-year mine life — from 277,000 Au oz to 348,000 oz and 852,000 Ag oz to 965,000 oz. But it also increases capital costs both at the mill and the underground workings, where the company will be accessing more remote mineable resources. Pre-production capex is pegged at C$111.2 million, compared to $76.1 million in the previous study. After-tax IRR remains above 30%, helped in part by the weaker Canadian dollar (80-cent exchange rate, compared to 95 cents in 2014). The past five years have been a grim time for mining companies, which may allow IDM to further reduce capex through the purchase of mothballed equipment. 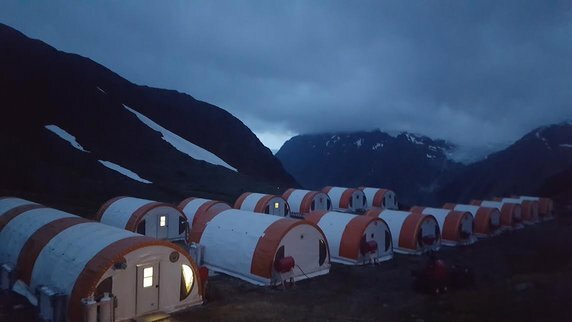 Victoria Gold (VIT-V) in the Yukon illustrated the potential earlier this year when it purchased a 100-person all-season mining camp for $275,000, saving millions of dollars. Victoria’s feasibility study was completed by JDS, the same company doing IDM’s (the FS is slated to land in the first quarter of 2017). Glacial retreat is an important part of the IDM story. And a helicopter trip into nearby Lost Valley, IDM’s recent high-grade discovery, shed some light on why McLeod believes the 5-year mine life could be just the start for Red Mountain, a 17,000-hectare property. IDM had announced the new Lost Valley discovery a few days before my visit. Through surface mapping and sampling, geologists discovered a zone of veining and shearing hosting high-grade gold-silver-molybdenum mineralization. Of 66 samples, 22 assayed above 3 g/t gold, averaging 30.45 g/t Au. High grades of silver and molybdenum were also assayed, as well as rhenium. Mineralization in Lost Valley has been exposed by the rapid melt of the Cambria icefield, which left behind boulders atop cliffs and strewn across the valley bed when it retreated. The glacier covered the area just 20 years ago when McLeod was a junior geologist on the project. It’s about 4 kilometres southwest of the main Red Mountain mineralization and 800 metres lower. 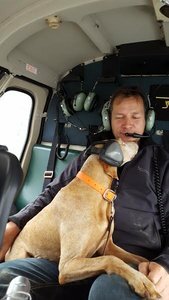 The pilot dropped off the two of us and McLeod’s Vizsla companion, Petal, on the rugged terrain and we hiked up to some outcrops. The mineralization was impressive, with the dull shine of pyrite (“fool’s gold”) and the blue hues of molybdenite hinting at the geological potential (there’s a major moly deposit, Kitsault, 55 kilometres to the south). News has flowed fast and furious since my site visit, for both Lost Valley and the main Red Mountain ore body. Aug. 24 – IDM released assays from surface trenching at Lost Valley that revealed a high-grade structure, confirming earlier grab sample results. 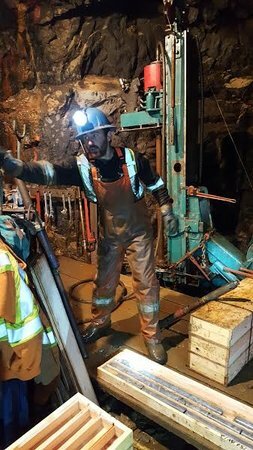 The new high-grade zone was dubbed Anda’adala’a Lo’op zone, Nisga’a for “money rock.” Seven channel samples taken along a 33-metre trench averaged 18.7 g/t gold and 61.2 g/t silver over an average width of 0.84 metres. Mineralization in Lost Valley has been traced over a 1-kilometre by 1.2-kilometre area. Sept. 6 – Assays from 13 Red Mountain underground core holes mentioned above, including 14.19 metres of 5.78 g/t Au and 24.15 g/t Ag. Sept. 12 – IDM announced the discovery of another zone 100 metres south of the Anda’adala’a Lo’op zone. This one was dubbed the Randell Zone after geologist Andy Randell, who had just arrived to prospect at Lost Valley as I was leaving. A 9.35-metre channel sample returned an average of 22.2 g/t Au and 81.3 g/t Ag, including .85 metres of 133.25 g/t Au and 378 g/t Ag. Very impressive grades, even after removing the .85-metre intercept. 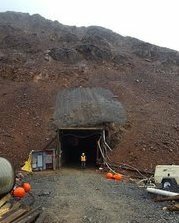 Sept. 29 – On the regulatory front, the public consultation period for environmental assessment of the Red Mountain underground project will run from Oct. 5 to Nov. 4. IDM plans to file a project application report with both the B.C. Environmental Assessment Office and the Canadian Environmental Assessment Agency in early 2017. Feasibility-level engineering work is also underway at the site, led by JDS Energy and Mining Ltd.
Oct. 4 – IDM closes an upsized private-placement financing for $8,994,707, consisting of 17-cent hard-dollar units and 21-cent flow-through shares. Proceeds will be used for additional resource expansion drilling, exploration and permitting at Red Mountain, including feasibility study work. Drilling, dewatering, development, permitting and a feasibility study expected in the first quarter of 2017 — it all requires money, and that means more dilution. IDM has shown there is demand for their shares — the recent private placement started at “up to $5 million” and finished at almost $9 million. Those shares take IDM’s already high share count to about 270 million. But crucially, the financing also allows IDM to pay for permitting and development as well as exploration at Lost Valley. In its latest NR, IDM announced that drills will be turning at Lost Valley within the month. If the company can drill high-grade there in a rising gold price environment, the share price should take care of itself despite the amount of paper out. Longer-term, Lost Valley is shaping up to be a potentially significant source of ounces for a mine at Red Mountain. A final investment decision is slated for the end of 2017, with commercial production targeted for the end of 2018. The next key step is the feasibility study, and a producing gold mine is the goal. 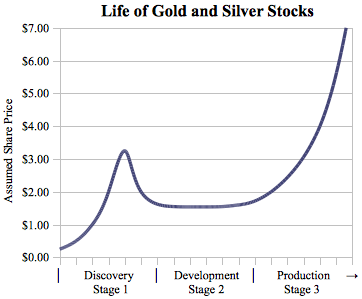 If IDM can execute on exploration while navigating the development path to a gold mine, the company will capture the two sweet spots of the “Lassonde curve” — the life cycle of a junior mining share (pictured). Shareholders make the most money during discovery and, beyond the development stage, production. IDM currently trades at a market capitalization just over $50 million. Despite recent gold price weakness, we’re into the kind of market where those types of valuations are being assigned to promising drill plays. Red Mountain is delivering both with the drill bit and on the development front. I like the company’s odds of delivering a small, high-grade gold mining operation with a five-year mine life that is extended as more ounces are discovered elsewhere on the property. McLeod and McPhie launched the company during the depths of the bear market and the upturn has given them the leverage to build a near-term production story. There aren’t many of those in the gold sector. At these levels, the stock is an attractive call option on IDM growing a gold business and making additional discoveries. IDM Mining CEO Rob McLeod will speak more about plans for Red Mountain and Lost Valley at the free Subscriber Investment Summit today at the Pan Pacific Hotel in Vancouver. If you’re attending, stop by and say hello! Disclosure: Author is long IDM Mining shares and the company became a Resource Opportunities sponsor subsequent to this site visit. This article is presented for informational purposes only and should not be considered investment advice. Junior mining investments are speculative and not suitable for many investors. Always do your own due diligence. Nothing contained herein constitutes a representation by the publisher, nor a solicitation for the purchase or sale of securities. The information contained herein is based on sources which the publisher believes to be reliable, but is not guaranteed to be accurate, and does not purport to be a complete statement or summary of the available data. Any opinions expressed are subject to change without notice. The author and their associates are not responsible for errors or omissions. Columbus Gold Corp. is a Resource Opportunities sponsor company, helping support the subscriber-funded newsletter.